Local rabbi shares his collection of shofars to educate others. 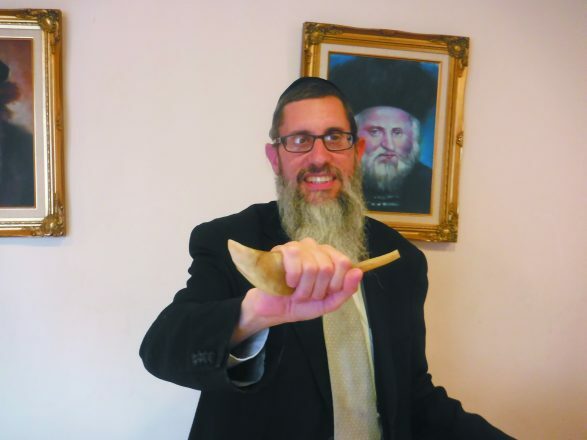 Many folks are preparing for Rosh Hashanah by dusting their shofars and practicing their blowing, but Rabbi Yehuda Kaplan of Oak Park is not actually a baal tokaya (shofar blower). If he were going to practice blowing all his shofars, it would take quite a while: He has more than 50 … and counting! 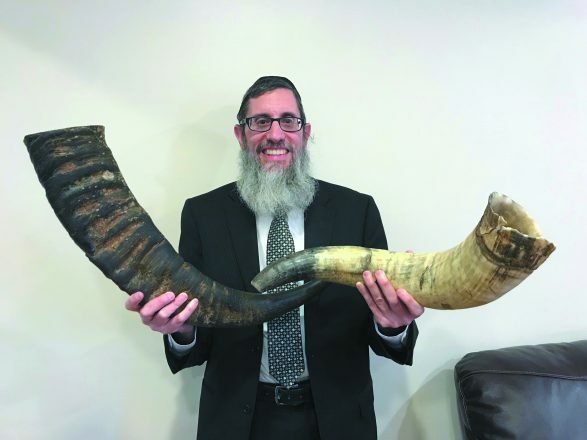 His fascination with shofars began more than 20 years ago, when Yeshiva Beth Yehudah organized a shofar demonstration for its students and Rabbi Kaplan, who’s been teaching first grade there for 25 years now, found himself as mesmerized as the students. Rabbi Yehuda Kaplan shows off two shofars from his collection. He has horns from goats, deer, impalas, antelopes, gazelles, cows and African water buffalos, most of which he buys from suppliers. Sometimes the source is more dramatic, such as the time his brother in Monsey, N.Y., heard a noise in his front yard and observed a deer shedding its horns before running off. “My brave brother put on gloves and went out to pick up those freshly shed horns and put them in a big bucket of Clorox just because he knew I’d want them!” Kaplan said. 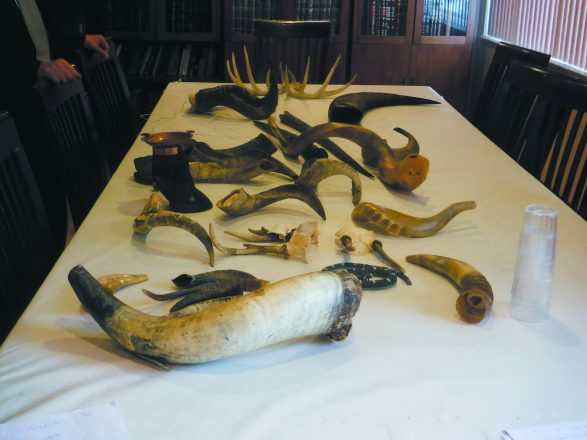 Kaplan has more than 50 shofars, plus some antlers and animal hooves. 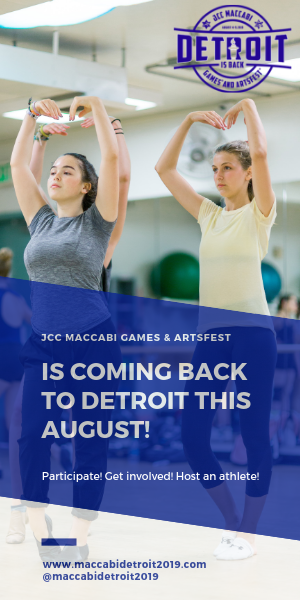 During the weeks leading up to Rosh Hashanah, Kaplan leads shofar demonstrations similar to the one that first got him hooked. He transports his shofars, each carefully encased in bubble wrap and kept inside a suitcase year-round, to nursing homes and schools. While showing his collection, he explains how an animal’s horn is made into a shofar, explores what makes a shofar kosher as well as the different sounds and sizes of the horns. 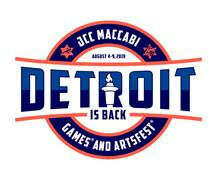 “A kosher shofar needs to be large enough to stick out of both ends when it’s held in your fist. There should be no doubt you’re holding a shofar,” Kaplan explained as he showed off the smallest kosher shofar of his collection. The smaller ones make a high-pitched crying sound, a fact he points out as ironic because the smaller ones were those smuggled into concentration camps and labor camps during the Holocaust. Rabbi Kaplan shows off a kosher shofar. The collection is more than just shofars. Kaplan has oddities that keep any curious onlooker gaping. Among them is a horn still attached to a deer’s skull, which a friend of a friend who enjoys hunting managed to procure for him. He also has a cow’s hoof and a horse’s hoof. He takes the opportunity to show his audiences a split hoof and a non-split hoof, one of the main differences between a kosher and non-kosher animal. “I like to say I cover everything from horn to hoof!” Kaplan said. As he clearly demonstrates with his unusual collection, there’s so much more to the mitzvah of shofar than what meets the ears.